Last week we attended Shoptalk Europe in Copenhagen, the essential conference for the global retail industry. From chatbots to AI-powered search, in-store motion tracking to e-receipt systems, we were blown away by the breadth and diversity of startup retail companies on show. 1. AdeptMind is aiming to combat the ‘failed search’ query in e-commerce. Using its human/machine deep learning hybrid system, consumers can input detailed queries – and succeed in finding results, leading to more purchases on the site. 2. AWhy is a smart chatbot system that understands the questions asked by your clients, providing an answer at any time, optimising waiting times. To handle complex user inquiries, traditional customer service operators can also be integrated into the system. 3. Big Data for Humans is doing just that, translating consumer data into human-centric insights considerate of tastes, needs, lifecycles and spending habits – not spreadsheet statistics. The star product is The Customer Graph™, the world’s first automated customer insights engine using networks to analyse customers. 4. Bllush is designed to inspire e-commerce shoppers with shoppable, authentic content. The star feature of the service is ‘Story’, a programme that provides current stories about fashion, trends, how-to guides and news coverage which are then shoppable with links to purchase similar items from your own store. 5. Buyapowa harnesses peer-power with refer-a-friend programmes for some of the world’s biggest global brands (think Sky, L’Oreal). Customers are given unique trackable URLs to share with their friends. The link provides data capture opportunities for the new ‘acquisition’ and provides additional incentives for them to shop. 6. Cimmerse is a web-based 3D AR/ VR visualisation tool that plugs into your website. The pledge is to convert more browsers to buyers through beautiful product visualisation and improve your return rate by letting customers see all the details before they choose to buy. 7. CLINC! is a retail service specifically for the financial industry. The omni-channel AI system covers conversational experiences with customers across mobile, web, Interactive Voice Response, messenger systems and chat bots. 8. Connected Retail is a seamless omnichannel service connecting software across stores, mobile, staff training and command centres. The offering covers everything from backend content management systems to digital signage, in-store displays to smart mobile e-commerce. 9. CONTENTSERV helps consolidate all your marketing content in one, easy-to-use web platform. The platform contains product copy; media assets from images to videos to layout templates; text assets like content marketing and PR articles; translations and customer profile data. 10. Conver.fit helps retailers to increase conversions from their ecommerce sites through personalisation of the homepage, cart, categories and more. The system can analyse user data and behaviour in real-time in order to make the right decisions to boost sales. 11. Curl is a ‘smart’ payment system designed to mitigate fraud risks. In place of cards, shoppers @mention who they want to pay or they @ask you to pay for something at the checkout. A direct transfer is made between usernames, authorised by your bank, with no need to share sensitive information with the merchant. 12. Cymbio unifies and connects data streams between brands and their wholesale retailers. Through data insights, the software is designed to sell more styles, gain more shelf space and help your retailers reduce inventory risk – all with access to data in real time. 13. Daco is centered around growth strategies. A highlight service is the ability to map what your competitors are doing from a comparable product, pricing and discount policy perspective – all using artificial intelligence strategic tools. 14. DemoUp allows retailers who stock multiple brands to integrate near-unlimited video content on their website from each of the brands they stock, creating a more engaging experience for the user, and a richer product showcase for the brand. Videos can be sourced directly from brands or manufacturers or individually uploaded. 15. Dialog Solutions or Dialogfeed is a social media aggregator platform pulling in social media feeds to screens and websites. It is designed to pull in ‘own’ content as well as user generated content (paid/earned) and enables the retrieval, storage and republishing of social feed streams from images, to conversations to reviews. 16. dLocal is currently the only 360 payments technology platform designed to handle mass online payments in Latin America and other emerging markets in Eastern Europe, Middle East and APAC. It mitigates the need to set up multiple logistics across the different markets. 17. Dor is a foot traffic counting and analytics solution giving retailers insights to make decisions on staffing and in-store conversion strategies. It uses thermal-sensing hardware coupled with machine learning – with no professional installation required. 18. Encore Logistics exist to help retailers benefit from the hidden opportunity in retail returns to increase customer retention and grow revenue. Options vary from design-your-own return experience to Express Return systems. 19. EON-ID describes itself as the first ‘intrinsically incorporated’ RFID system. The EON-ID thread™ woven into textiles connects products directly to the Internet of Things. As well as enabling a 360 customer experience across channels, the raison d’être at the heart of the innovation is to improve the efficiency of the supply chain and ‘next life’ tactics whether it be sale, donation or recycling. 20. Epinium Analytics positions itself as a user-friendly market research platform, able to spot market trends, track competitors and detect challenges, all in real time based on product big data. 21. FASHWELL is an algorithmic visual search and image recognition provider for the fashion industry. Eliminating the need for multiple filters and clicks, customers can search for product matches by uploading their own images and screenshots. 22. Fashwire (currently in Beta) is a mutually beneficial digital platform for fashion designers and consumers. Using a “swipe right, swipe left” mechanic, consumers are able to get a behind-the-scenes look at work-in-progress designs and share their opinion with the designers. 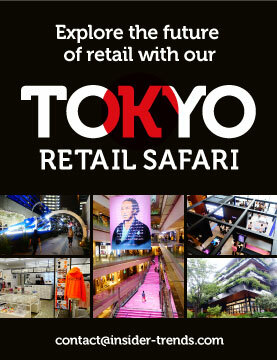 In return they may receive clothing pieces and discounts from the e-tailers. There is also a social networking element in that users can follow and like other users and designers. 23. flexReceipts is re-thinking the transactional receipt. By capturing the customer’s email at the point of sale, retailers can deliver customised receipts straight to the inbox. The system has reported open rates as high as 85%. 24. Follow Inspiration is an interactive technology company working in software and hardware solutions. Projects range from interactive screens for museums to robotic coffee machines and content rich apps. 25. Grow is a dashboard for your collective data. It can pull together information from hundreds of sources from spreadsheets, CRM databases and SaaS applications (like Salesforce). The intuitive dashboard can be accessed by all project team members and is fully customisable. 26. Hero is all about empowering sales associates in a bid to win back the engagement and intimacy of a shop-floor experience in a world of digital interactions. 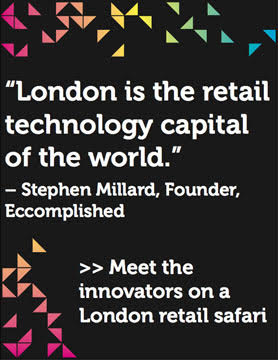 They create a hybrid experience between browsing in-store and shopping online. 27. Heuritech is a tool to help retailers analyse and distill insights from social media content. In place of the (potentially risky) manual scanning, AI software helps uncover emerging product trends and consumer preferences quickly through quantitative, not qualitative or intuitive evidence. 28. Hexa provides retailers and developers with an easy way of creating, scaling and embedding 3D content. It converts existing visual assets into 3D/ AR/ VR using a single line of code with specialisms in furniture, fashion and consumer electronics. 29. Hoxton Analytics is a smart data analytics systems that uses sensors installed throughout and outside your store. It pledges to offer a 95% footfall accuracy and meets the industry standard (80% accuracy) – all without infringements of privacy. 30. Hullabalook provides product discovery solutions for retailers in categories such as furniture, fashion and appliances. The company’s technology lets shoppers search for products by filters, such as dimensions, product type or colour so they can be sure it fits into their space or with their interior design. 31. IamBot is a visual chatbot system pledging to offer the ‘most accurate’ image recognition technology out there. The concept enables consumers to purchase products directly from the advertisements – simply snap a photo, share with the bot and it shares the same or a similar product. The customer can purchase online straightaway as well as benefit from personalised offers. 32. JustSnap is a promotion management platform that helps brands get insights into their customers via its receipt data extraction technology. Shoppers are incentivised to snap a photo of their receipt through rewards such as free Amazon credits and cinema tickets. 33. KptnCook is the first cooking app to connect selected recipes with products and prices from specific supermarket chains, acting as a ‘digital’ shelf. Every day the app presents 30-minute-recipes from food bloggers and the KptnCook editorial staff. The recipes disappear after 24 hours and make space for new ones. 34. Localistico exists for one reason – can my customers find my business on the internet? It checks data and locations are listed correctly across every platform where your business appears. Edit your location once and it will update it automatically across platforms. 35. Market Beyond analyses billions of ecommerce transactions to deliver actionable, real-time, product-level insights. 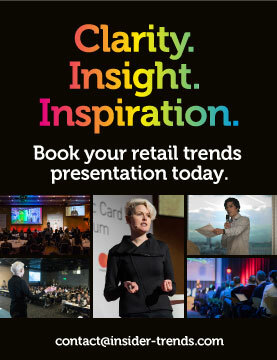 The aim is to help retailers increase market share by better understanding their customers. 36. MishiPay significantly shortens the POS experience by allowing anyone in store to pick up an item, scan the barcode on their phone, pay on the phone and walk out of the door with the selected item. A unique RFID powered technology ensures no-one leaves without paying. 37. MobieTrain is making retail training fun through a mobile learning platform that combines scientific training techniques with gamification and pre-defined content packages to speed up onboarding, increase staff knowledge and engagement and drive sales. 38. N7 or The Nitrogen Platform is a digital delivery platform which helps retailers with the speed, scale and security of their ecommerce activities at a reduced cost. It also has add-ons for analytics and marketing intelligence. 39. 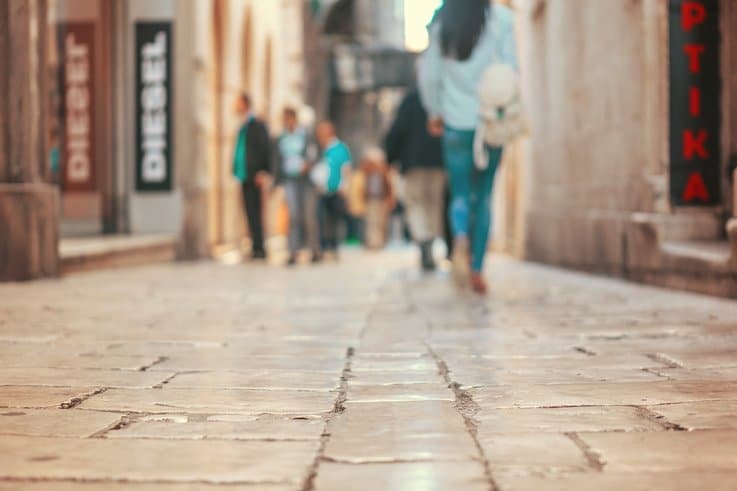 NearSt connects the products in high street shops to people nearby with a hyperlocal search and shopping technology/site/app. Users can search millions of products on the shelves of 1000’s of high street stores in London (many of which offer a 1-hour delivery and instant collection service). 40. Nextail is a cloud-based software set up to help retailers sell more at full price by optimising three key decisions – introduction of new products and new store openings; replenishment to the store network; rebalancing stock among stores. 41. Obsess VR is a platform that enables brands and retailers to create discovery-driven, branded, immersive 360 shopping experiences across all channels. Example use cases of the technology include shoppable 360 spaces, shoppable 360 brand video, shoppable 360 scenes. 42. Oriient provides the first GPS-like service indoors. The technology works without the use of installation, beacons or WiFi and is reportedly accurate within 3ft. It links to an analytics platform that tracks motion and traffic. 43. Pasabi serves to be the antidote to generic adverts and irrelevant recommendations on e-commerce sites. It harnesses Pinterest and other social data sources to generate personalised and accurate style recommendations to customers. 44. Photospire enables brands to create videos that are personalised and useful for each customer. Creative assets such as product images and video clips merge with customer, social and environmental data to create a video tailored and contextualised for an individual customer. 45. Pixoneye claims to be the only company that uses AI and computer vision to analyse a user’s mobile photo gallery to reap rich user insights and deliver real time in-app hyper-personalisation. 46. Presence Orb is an analytics software platform that detects visitor movements in a commercial space using mobile phone MAC address data. It uses Wi-Fi splash paging to capture valuable visitor data such as demographics and contact details and provides tools for real-time, location-based consumer engagement. 47. Proximity Insight is a sales floor platform with a suite of tools enabling sales associates to connect with their customers in exciting and dynamic ways. It delivers real-time customer data to sales associates on the shop floor to help strengthen the selling relationship. 48. Qopius is a computer vision start-up constructing the world’s biggest image recognition engine for digitising brick-and-mortar retail: automatically recognising every product, price tag and full display from images of shelves and helping retailers and brands perfect the store execution for improved shopper experience and bigger baskets. 49. Quiqup offers on-demand, last-mile logistics services and solutions allowing people to get anything picked up on-demand through a mobile and web app. From groceries to fashion, electronics to homeware and fine dining, its fleet of Quiqees shop on behalf of customers, at a tap of a button. 50. Receet Me is an e-receipt mobile app. It’s designed to help mitigate frustrated customers who wish to return an item but can’t find their receipt. It works across credit cards, cash and cheques. 51. RECShipping by Nektria is a Barcelona-based company specialising in urban mobility and logistics. Last year, Nektria launched RECShipping (Responsive eCommerce Shipping www.recshipping.com), the first SaaS allowing online shoppers to choose delivery slots at a variable price while optimising delivery routes for involved carriers. 52. Revieve helps e-commerce retailers improve conversion and create customer retention through the Revieve Digital Skincare Advisor, a guided solution that provides e-commerce customers with the ability to receive personalised skincare advice and product recommendations based on their own selfie. 53. Sensefinity is a 360 complete Internet of Things tracking solution for businesses. They provide hardware, communications and cloud services to connect any retail businesses IT infrastructure. 54. Sensei uses computer vision algorithms to turn any camera into a powerful sensor and enables retailers to have accurate real-time information about how each visitor is interacting with the store space and products. With Sensei retailers can truly digitise their physical store and identify trends, data correlation, facts and track and trace every SKU in store. 55. Shoppable believe consumers shouldn’t have to redirect from site to site or dig through search engine results to locate a product and make a purchase. Instead they believe that consumers should be able to shop wherever they are inspired and complete the purchase wherever is most convenient. 56. Shoppimon ‘visits’ an e-commerce site the same way real shoppers do, behaving like a 24/7 secret shopper, identifying any problems that impact their experience or ability to make a purchase. It drills straight down to the root cause of business-critical issues, and suggests a fix before actual shoppers ever encounter a problem. 57. Shopsys Framework is a scalable e-commerce framework for building fast-growing e-commerce sites created and maintained by in-house developers or outsourcing companies. The Framework is provided with tools and know-how to cumulatively save thousands of developer man-hours. 58. SiteCampaigns are customised website overlays that allow retailers to target messages to site visitors at relevant times during their customer journey. Whether the goal is to increase conversion rates, generate new leads, or guide traffic to specific content – it aims to convert. 59. SkipQ in cooperation with MasterCard, proposes a self-checkout system utilising mobile payments and an RFID-based stock loss prevention system. The idea is that customers can scan the items, pay by mobile and leave the store. Real time purchase reporting to the in-store staff further enhances security. 60. Snaplytics has developed listening capabilities to monitor and understand brand mentions by influencers on Snapchat and Instagram Stories enabling retailers to measure Share of Voice, as well as details of which influencers are the most active in its space. 61. 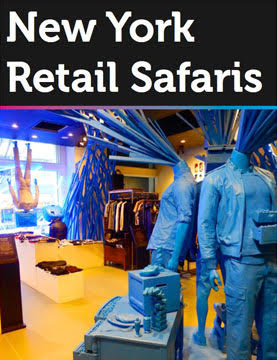 Storefront is the world’s leading online marketplace for renting short-term retail space. The platform powers over 10,000 listings, which represent more than 30 million square feet of retail space in New York, Paris, London, Milan, Hong Kong, Amsterdam, Los Angeles and San Francisco. 62. The Unseen is an innovation, product development and technology licensing company. It is well known for its colour changeable products and programmable material surfaces responding to triggers such as heat, pollution and moisture. 63. Talon.One offers a solution for creating, managing and tracking coupon codes, discount campaigns, loyalty programmes and referral rewards in one holistic platform. It offers a cross-channel solution for online and offline (POS), internal data and any third party source. 64. TheMotion describe itself as a ‘game-changing’ platform enabling companies of all sizes to quickly create high-quality Dynamic Video Ads that are automatically created and updated every day. It works by transforming static images and product information into engaging, always up-to-date video ads that reflect a company’s ever-changing product catalogue. 65. TRYBE uses advanced data analytics to automate the research process, and has a global online community of millions of consumers. This allows it to offer consumer research for a fraction of the cost and at a higher speed than any traditional consumer research firm. 66. Whole Surplus creates technology solutions to help businesses recover value out of food surplus. They provide a one-stop waste management platform which includes a unique marketplace for donating surplus inventories, recycling and reselling of surplus and data analytics for reducing waste at the source. 67. WiseShelf proposes a unique solution to the problem of OOS (out of shelf) stock supply, resulting in revenue loss. WiseShelf uses light sensors that provide retailers with real-time shelf inventory management, plus a full backbone tool to make online orders with store pickup more efficient. 68. Zenloop is a feedback management platform which improves relationships between companies and customers, using the Net-Promoter-Score® (NPS) framework. It assesses quantitative and qualitative feedback through various channels from link to email and reportedly achieves a high response rate of 30-50%. 69. ZigZag Global are helping retailers to push exchanges instead of refunds and to slash returns costs by over 50% and journey times by 65%. They track stock in a network of 200 warehouses and 50 courier partners in 130 countries. Catch-up on all of our highlights from Shoptalk Europe 2017 in our round-up report here. 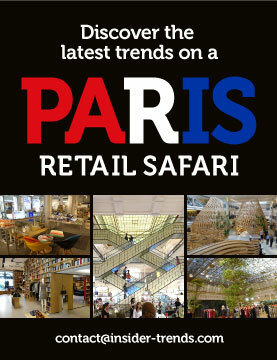 Plus, find out more about the latest trends in retail by taking part in one of our Insider Trends retail safaris.